Fine Company manage the content placement for NHS Blood Donation’s #Date2Donate series. Less than a quarter (23.7%) of those who gave blood last year were younger than 30 years old, and the NHS also urgently need 40,000 more black donors as they are more likely to have the blood type needed to treat the increasing number of patients suffering from Sickle Cell Disease. NHS launched Date2Donate to encourage this demographic to get involved. 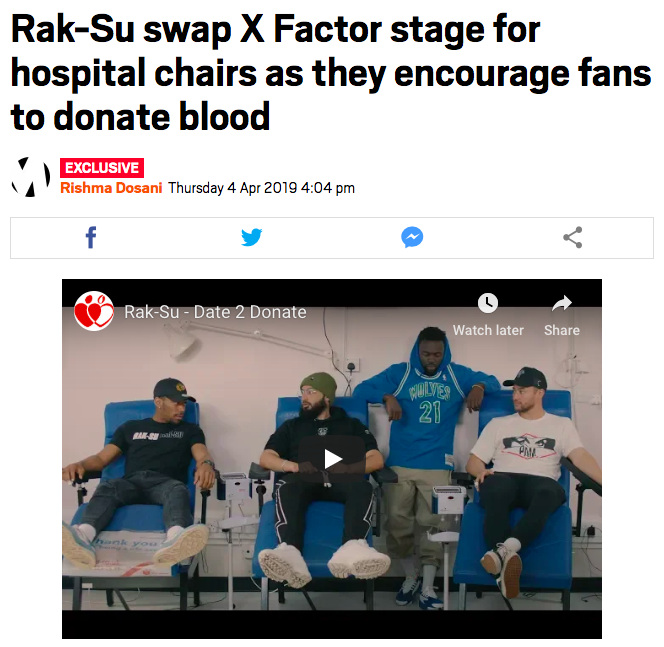 As 1st time donors, X Factor’s Rak-Su wanted to take part and inspire more people in black and Asian communities to give blood- a cause they are passionate about. Watch the guys roll up their sleeves and chat music in this exclusive video premiering on Metro now. Read more. 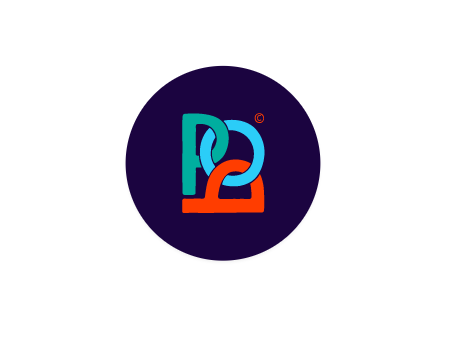 Date2Donate has led to a 28% increase in appointments booked via Facebook and a 66% increase from Twitter (March 2019). 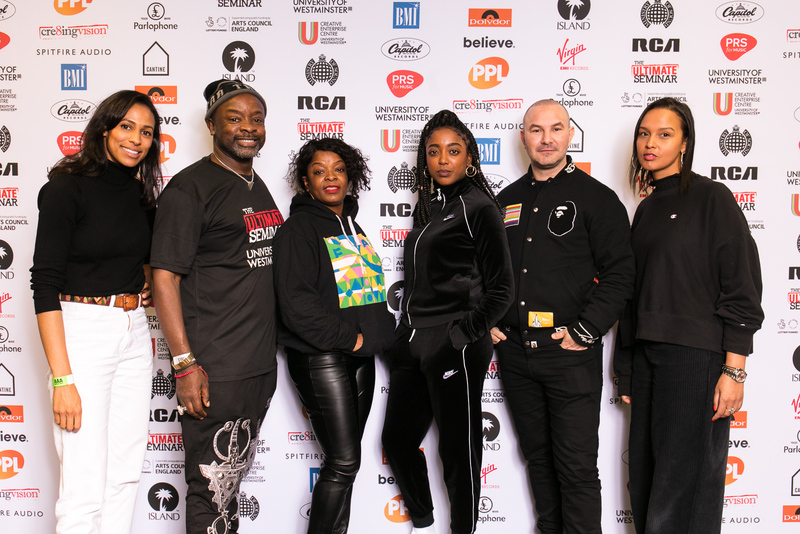 Fine Company director Tasha Anderson spoke on the Cre8ive Breakers panel at The Ultimate Seminar on Saturday 24th November 2018, University of Westminster. Hosted by Kwame Kwaten, Tasha was joined by Taponeswa Mavunga and Radha Medar, Jamie Binns and Amber Davis. 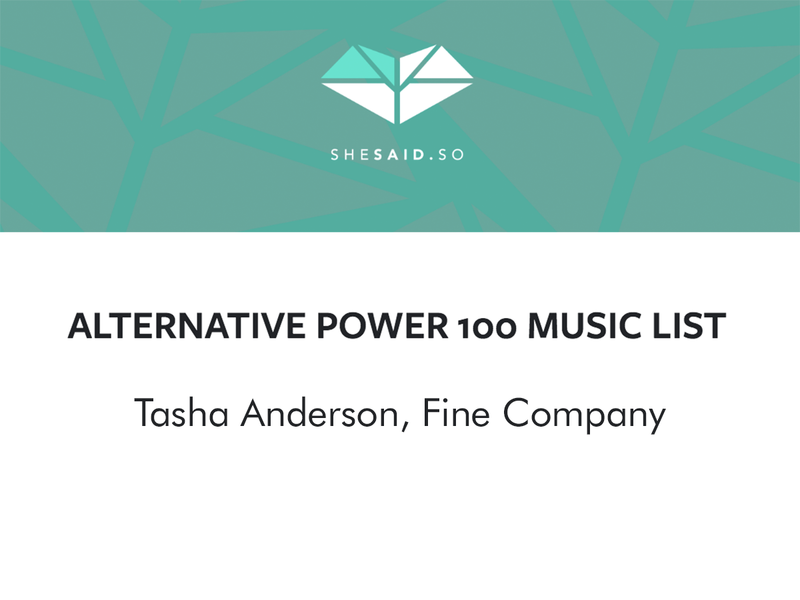 Tasha features in shesaid.so’s Alternative Power 100 Music List for 2018 alongside Mykki Blanco, Shamir and more. The list celebrates non-traditional companies, career paths and levels of success that reject unilateral thinking. View the whole list here. Tasha interviewed for messenger app POP about the future of messenger bots and future tech trends.